You're stuck in a parking lot or stranded on a dark road in the middle of nowhere when suddenly the engine continues to turn over when you try to start the car, and the headlamps and dash lights flicker. Surprise! Your vehicle's battery is low or dead. But at DeLand Kia, we don't want you to find yourself in a bad situation. That's why we sell name-brand batteries at affordable prices. Keep reading to learn why it's important to choose a name-brand battery over a generic, off-brand battery. Your engine requires extra battery power to start when the weather gets colder. 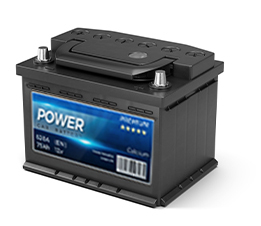 A generic battery typically won't provide the needed power, while a name-brand battery usually will. A vehicle can drain its battery even when it's not running, thanks to technology like security systems. Despite only draining a small amount of the battery, systems like these can wear down an already weak battery in a car that has been parked for a while. A name-brand battery will manage drain better. Name-brand batteries that include a warranty tend to be more reliable, especially when compared to a generic battery. You can enjoy more time on the road with fewer inconvenient situations, and you can be free from worry about your vehicle's battery dying. If you’d like to purchase a name-brand battery or schedule a service, contact us or stop by DeLand Kia at 2322 S. Woodland Blvd, DeLand, FL 32720. We look forward to serving our customers from Deltona, Daytona and Orlando!